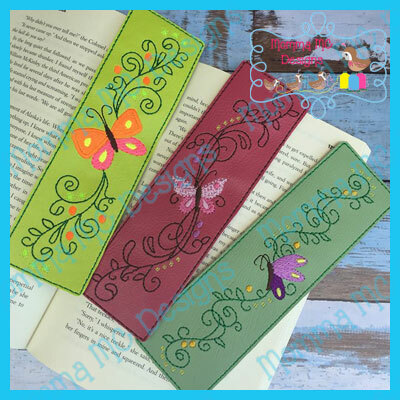 With purchase, you will receive all 4 Butterfly Bookmarks. Hoop size: 130mm x 180mm (5'"x7") and larger. Finished size is approximately 2" x 7". 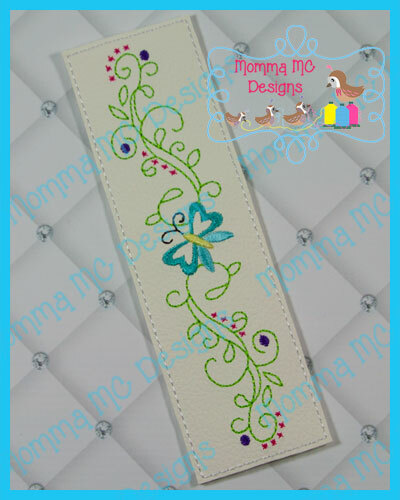 Included in the Zip folder will also be 2 bookmarks (same design only) grouped and color sorted in the 5x7 hoop.